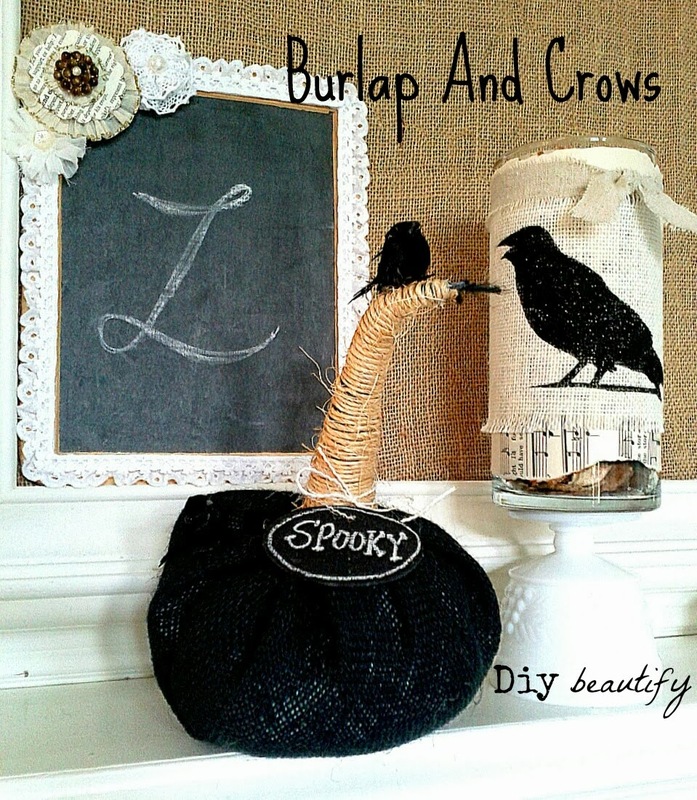 Dollar Store Sheet Music & Painted Burlap Crow Hurricanes and Black Burlap Pumpkins with Miniature Crows - Oh My! I am one of the room moms for little Diy's 4th grade class this year. Thankfully, several other moms volunteered so we can share the duties. It's not that I wouldn't love to be THE room mom. But I just started this blog and just this week I started a part time job...so I'm kind of busy! I'm hoping the next couple months will see me able to better manage my time and juggle all the things on my to-do list (I confess..dusting will always be on the bottom of that list, sigh). Okay, on to the craft du jour. We were asked to donate something for the basket for the fall fair. Our room's theme is "Fall Fun". Of course, being the thrifty and crafty woman that I am - hehehe, I set out to make something amazing and crazy cheap affordable. Halloween is just around the corner and I decided that helping someone with their Halloween decorating might be the ticket. I've never really been into the creepy side of Halloween, but I can get into some black burlap and a crow or two! I found these straight sided vases at the dollar store that I thought could also be used as hurricanes, as well as two vanilla scented candles and vanilla potpourri. 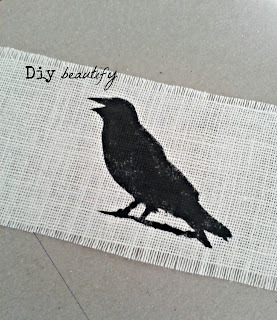 The plan was to find a crow image online, make my own stencil by cutting it out and paint it onto white burlap. I then planned to layer that onto a sheet of either bookpage or sheet music and wrap the entire thing around the hurricane. 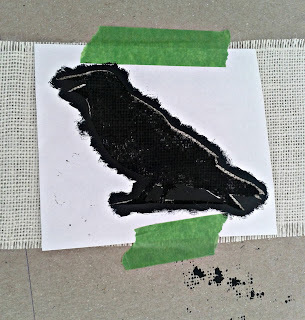 Google has tons of crow images so I printed one out, cut out the shape and used the empty space as a stencil. 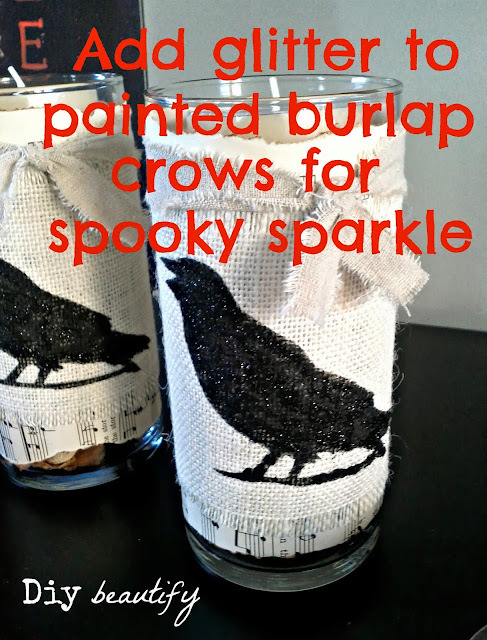 I taped it to my strip of burlap and painted it with black acrylic paint. The trick to a crisp edge is first of all to paint from the edge toward your design, never the other way around; also not to leave the stencil on while the paint dries. As soon as you're done painting, lift the stencil up. 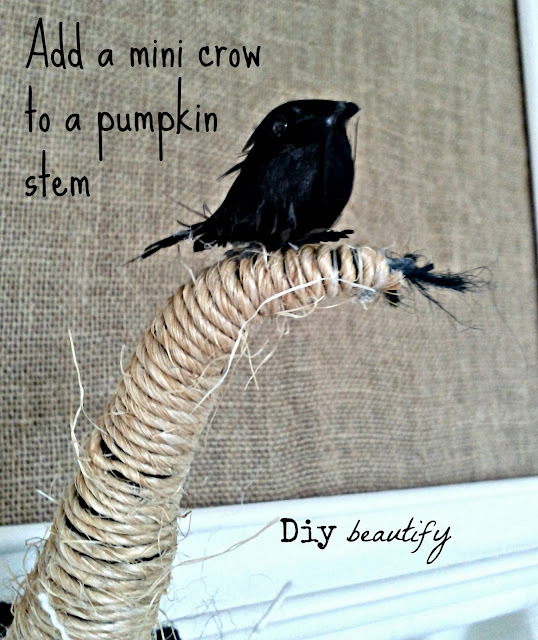 See how cute my crow turned out. I found some actual vintage sheet music in my stash that I've had for ages so I didn't mind using. I had to use it sideways to it to wrap all the way around the hurricane, but that's okay as most of it will be covered up anyway. I ripped and inked the edges, wrapped it around and secured it with a little glue. 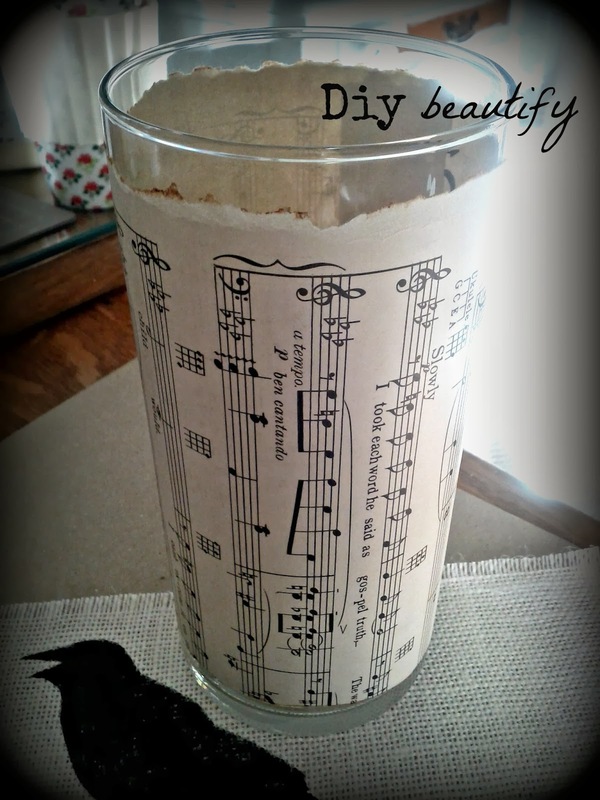 Here's a little tip if you don't have sheet music...buy the thickest hardcover you can find at the dollar store and rip the pages out for projects like this!! Of course, you may have books you've found for pennies at yard sales or thrift stores and those are good too :) Ripping and inking the edges makes any "new" book look "vintage". The burlap with the painted crow was glued on next. Then I repeated with the other. After they were glued on, I remembered I had some black glitter (Martha Stewart sugar coating) and decided to add that for sparkle and dimension. It really was easy to do. 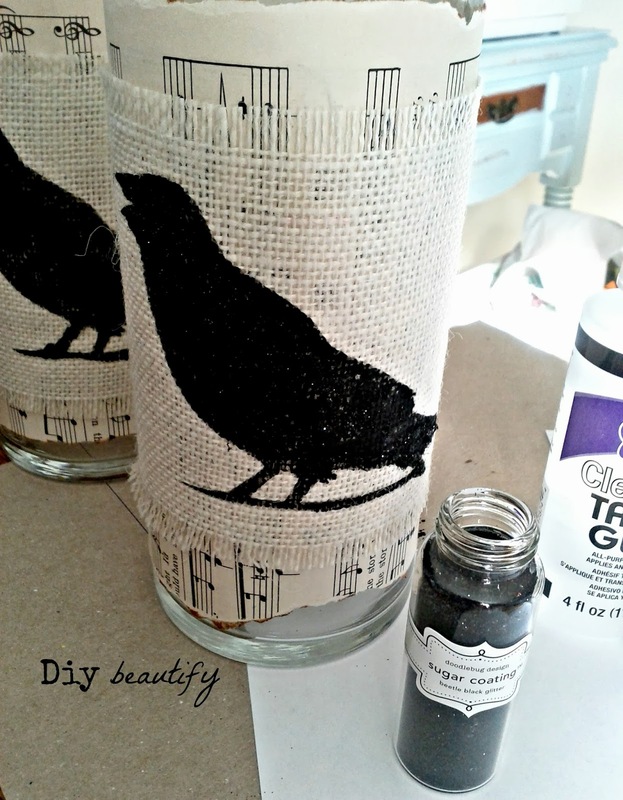 I just used my clear tacky glue and spread some over the crow, and then sprinkled on the glitter. I always have a piece of folded paper on my work surface to catch the extra glitter that I shake and tap off. The crease makes an easy slide to pour the excess glitter back into the jar. Next up was the potpourri. 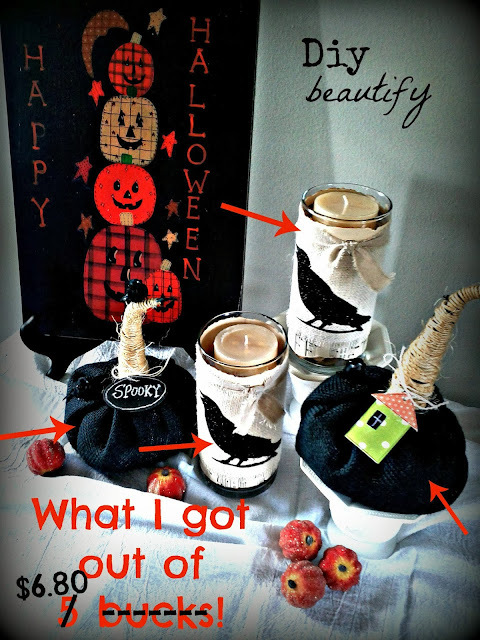 I poured half into each jar and then sat the candle on top. Done. Not too shabby for 5 bucks, eh? Okay, next up was to make a pair of black burlap pumpkins. 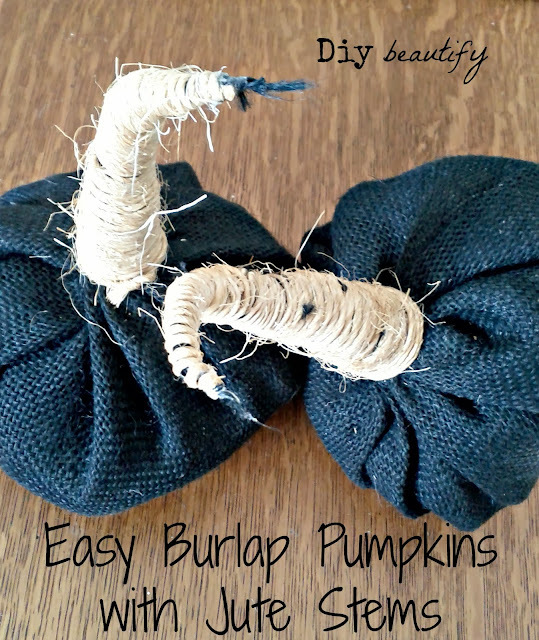 I found a really easy tutorial here that literally takes minutes to makes and utilizes plastic bags as the fill for the pumpkins. Easy, right?? 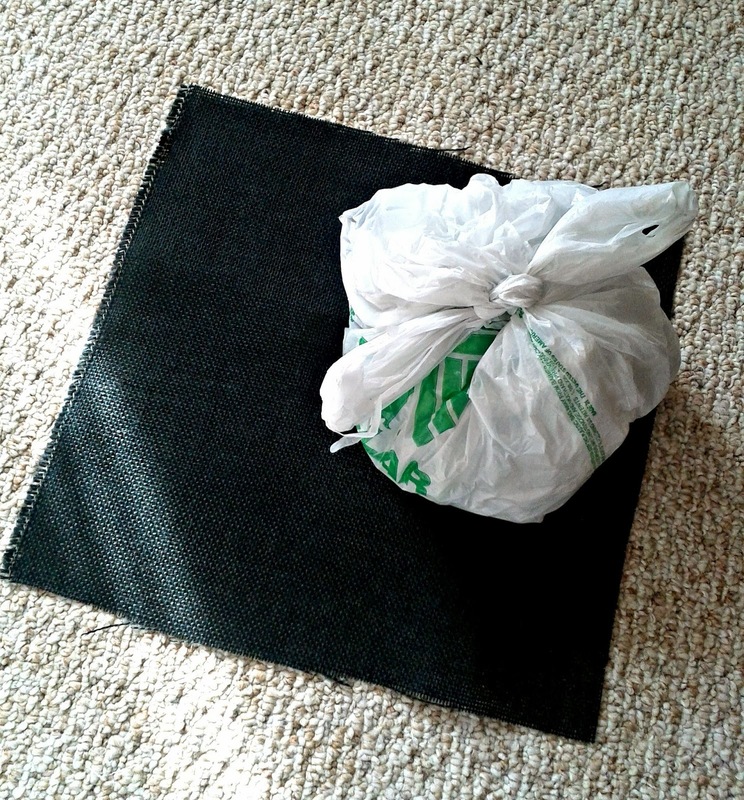 Easy and cheap since I already had the burlap leftover from another project. Woo hoo! Then you pull up the edges of the burlap, keeping the bags in the center. Tie it off with a rubber band. Of course, I couldn't leave well enough alone. I wanted to add a little something extra. 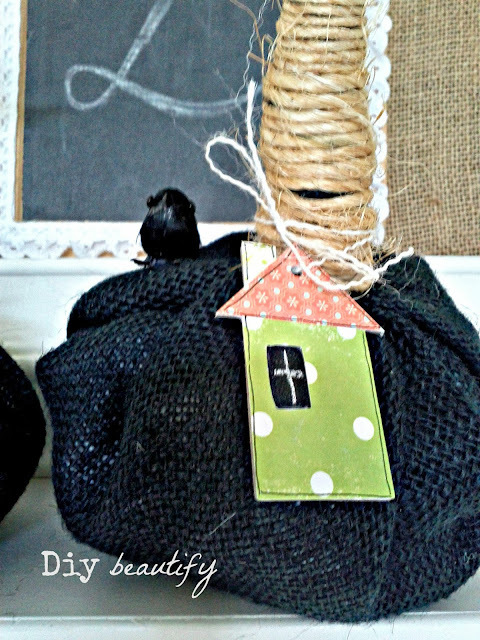 I have a HUGE scrapbook stash so I "shopped" my stash and found these little chipboard tags - an oval and a house shape. I painted the oval with black chalkboard paint; the house got a little makeover with some fun papers and a chalkboard window. 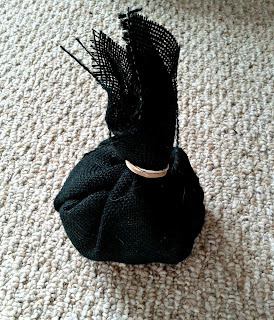 Then I tied my tags on with....well bless my heart, I used a skinny little strip of burlap that I pulled off when I was unraveling the ends for my previous project (I know, I'm so thrifty sometimes it's just sick!). And THEN...when I was out shopping this weekend with little Diy, we happened to stop at Michaels because she wanted to look at an owl Halloween mask and I happened to spot these adorable miniature crows (4 to a pack). I knew they would be the perfect finishing touch so I bought them - with a 40% off coupon thank you very much and they were only $1.80. 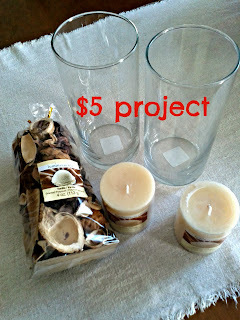 So oops, I lied, I spent $6.80 total! 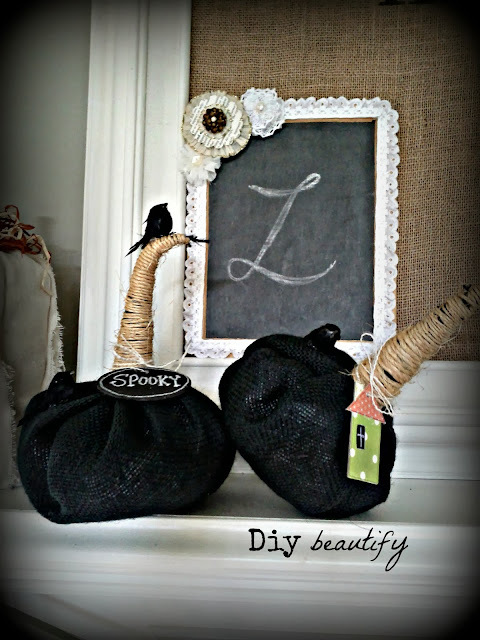 The crows got attached to the black burlap pumpkins and I think they are perfect now - and they match my hurricanes!! Oh yes...I think they will go fast! Really luv how thrifty you were with this project. Those pumpkins are really cute. Darling little pumpkins!! Love your site. Am a follower. The dollar store does it again! 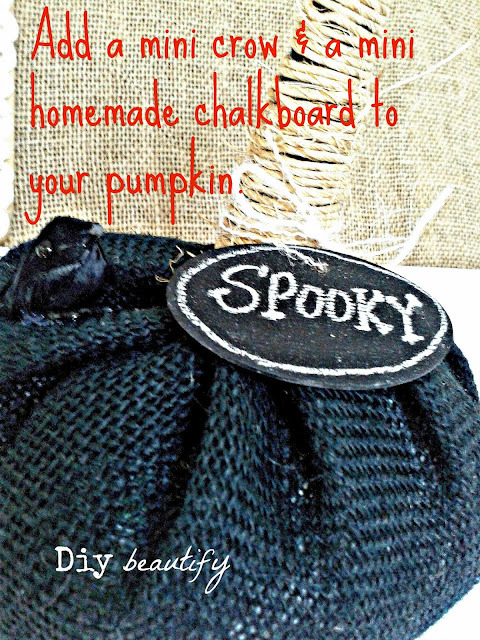 I love that it has cute, cheap things that can be made over. 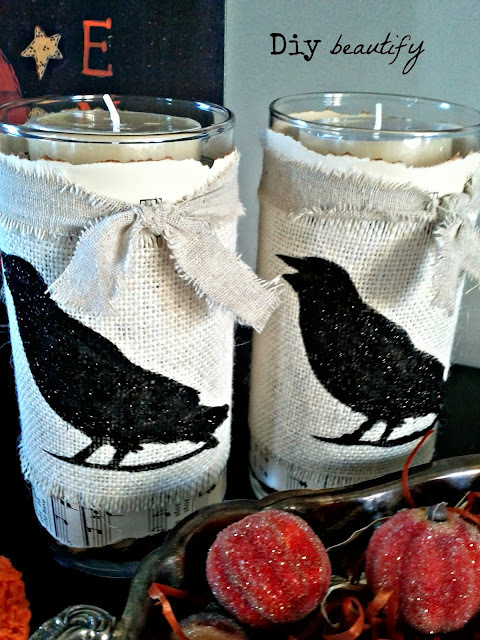 I love the print on the burlap and the bird is SO perfect. 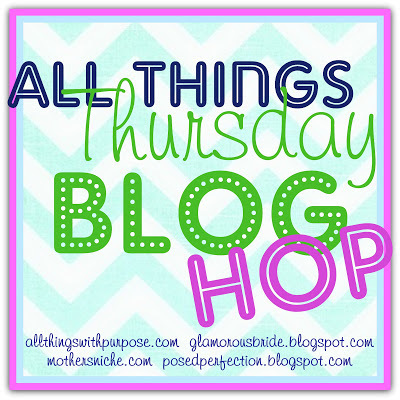 Thanks so much for sharing and linking up to Thrifty Thursday. Cute ideas! Love the Painted Burlap Crow Hurricane. You did a very nice job. And the the black pumpkin with the little crow is so cute!